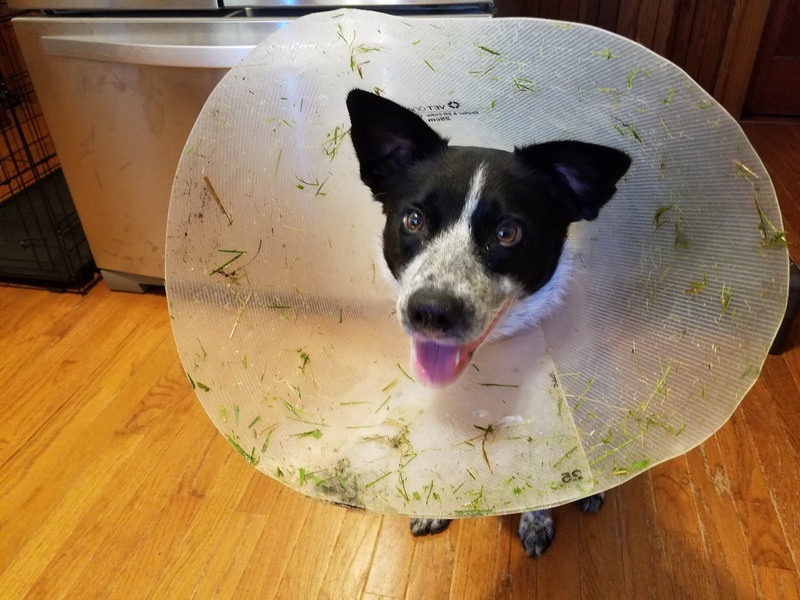 This cone is dumb. I can't lick my stitches. It can come off tonight if the Dr. thinks I'm healed enough. Though it does help with yard work. Oh gosh, hope you lose the cone soon! I bet it makes a pretty good rake for helping around the yard. Hope this is your last day with the stupid cone! I really hope so too!!! This cone is so uncomfortable. I hope you are going to lose it very soon and come back to your nice normal life!!! LOL - love the grass! Keeping paws crossed! Aww... sorry you have to wear that. Hope you heal very soon! 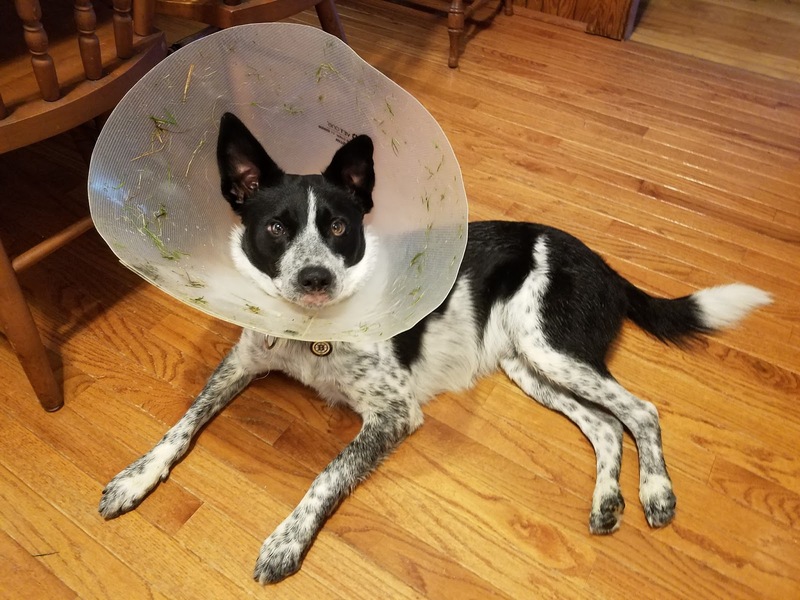 I hope that cone can come off soon. But it looks like you've been putting it to good use collecting the grass clippings! Relic, we sure hope you get your cone off tonight. 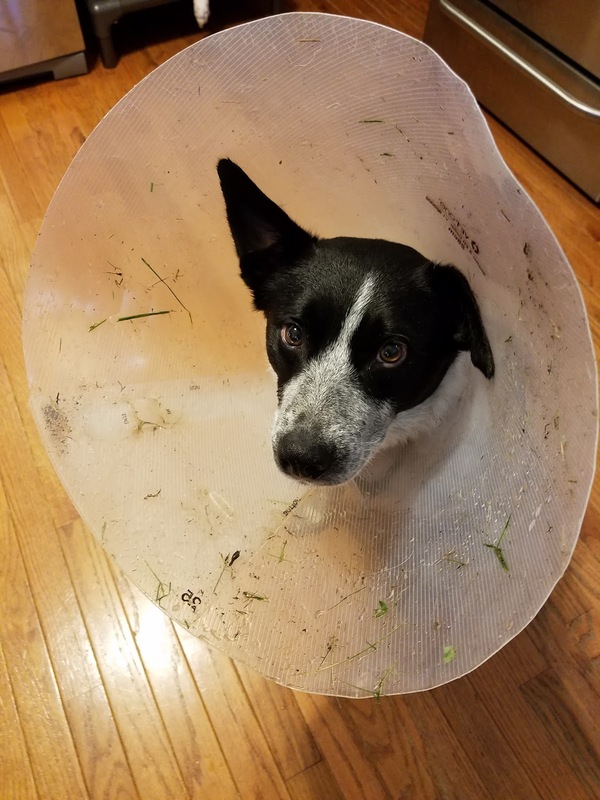 I hate the nasty cone!